For today’s purposes, I’d prefer to think of myself more as a fantasy fan and an interested observer than an actual critic. 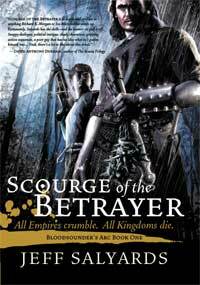 I was prompted to the topic by reading, and loving, Scourge of the Betrayer, by Jeff Salyards. I’ve gotten to know Jeff a little through facebook and his blog posts, and found him to be clever, funny, and supportive. He seems like a guy I’d enjoy throwing back a few beers with, maybe whilst taking in a Chicago sporting event. You know, a real guy’s guy. I’m sure I’d get over my writerly envy of his masterful action sequences and authentic-and-yet-archaic dialog by the bottom of the first round or the end of the first sporting quarter, whichever came first. Gritty Aspirations: There has been a move in historical fantasy toward (for lack of a better word) grittiness. Before I started writing, I enjoyed gritty historical fiction from authors like Steven Pressfield and Bernard Cornwell, and I also read quite a bit of war-related nonfiction. I aspired to bringing a realistic, non-glorified warrior ethos to my favorite genre of epic fantasy. It may seem strange, but it wasn’t until after I started writing that I became aware of writers like George RR Martin, Joe Abercrombie, and Glen Cook. And reading these guys made me realized I was hopelessly outmatched. 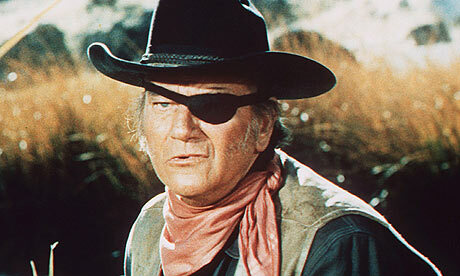 True Grit: I’m not just talking about a realistic portrayal of battle or violence, though that’s a part of it. Much of the Gritty Movement in historical fantasy has to do with the deconstruction of the genre’s moralistic trope, the simplistic delineation of good versus evil. Characters often have less than pure intentions and motivations. There are often serious and unexpected consequences for actions taken, even if they are taken with the best of intentions. In some cases, with some characters, the worldview digresses darn near to nihilism. Shades of Gray: I was shooting for this kind of complexity in my own work. And to some degree, I think I’ve achieved it. The world I created is not morally or ethically black and white. Each of my characters believes he is acting for the greater good, even when they are aware their actions may not be considered virtuous. Often there is self-deluding justification involved, but I’m hoping the characters and actions readers might find despicable will also be plausible and maybe even relatable, rather than just evil. And I believe I’ve created real consequences as well. When swords swing and arrows fly, people bleed and, in some cases, die. There is pain and grief and vengefulness and jealousy. And yet, when my work hits the market, I’m pretty sure few will use the g-word to describe it. I’m a fan! As I said, the reader in me loves the Gritty Movement. As is the case in Scourge of the Betrayer, Gritty Movement characters are not always self-serving nihilists. They are sometimes motivated by tarnished versions of honor and friendship, often viewed from a jaded perspective. I enjoy seeing these noble glimmers emerging from the gritty characters in my fantasy reading. Romantic Sentimentalist: My enjoyment of Jeff’s book led to my examination of what keeps my work from achieving true grit. I decided it comes down to a certain kind of sentimentalism. I guess my own romantic notions have made their way onto the page. In spite of the occasional moral ambiguity of their means, my characters are often motivated by idealistic goals. I left much of the tarnish off of their sense of honor. Worse yet, my characters are often motivated by romantic love (something I’ve very rarely seen in the Gritty Movement). And I’ve decided I’m okay with it. I can incorporate the elements of gritty that enhance my style, and just be a fan of those who’ve mastered true grit, like Mr. Salyards and company. What about you? Have you actually used the word gritty to describe a book or a movie? Do you like or dislike grittiness, or just accept it as it comes if it works? Can grittiness and romantic sentiment work side by side? This entry was posted in Writing and tagged George RR Martin, Gritty Historical Fantasy, Jeff Salyards, Joe Abercrombie, Scourge of the Betrayer, True Grit. Grittiness? A rather old fashioned word. No wonder according to the Urban Dictionary it’s only used by critics. I can imagine a lot of old men smoking pipes and nodding sagely from leather armchairs as they mutter “gritty piece of work”, under their breaths. Edgy, real-life, out-of-the-closet. Our society is evolving, becoming more of an open book, literature is bound (last two puns were in incidental. I swear and cross my fingers) to reflect/influence that evolution. Well, what do you expect from an old-fashioned sentimentalist? 🙂 Edgy is a good one, but I’m not sure it conjures the filthy-faced world-weariness I’m talking about. But let me confer with the other armchair sitters before I dismiss it. Ah, another romantic! (And well-done again, with ‘rehash’ 😀 ) You’re the best, my friend! Would you consider gritty and angsty in the same realm? I have heard of “gritty” but haven’t been very certain of what it looks like. I’ve equated it with the type of artistic expression that leaves you feeling icky inside, like you need a nice emotional cleansing. Since I don’t like feeling like that, I avoid most stories that might be gritty. I’m a hide your head in the sand kind of person, I guess. I’m can’t say I equate gritty with icky, but I know what you mean. I want some sort of ‘feel good’ in my reading. And in fairness, I think many of those I mentioned supply it–including Jeff. I avoid lots of horror/slasher stuff because I avoid the ick factor, so I get you, Lara. Thanks for reading and weighing in! This girl is team grit–and I love that word, and there’s no “-ty” cuz it pretties it up too much. Lol. One of my favorite MCs is loaded with grit, he’s a young, snarky, weathered soul who can take on the world with his bare hands. He’s the guy you want watching your back, and he’s so loyal it’s a code. Interestingly enough, while he makes the girls swoon, he isn’t the romantic type (there’s reason for that.) I sat and considered that carefully because I never saw the connection until you made that point. Well done, Vaughn. I love new insights and this was a really good one. But a character with grit doesn’t mean the whole novel is gritty. For me, it’s a spice to be used with great care. Painting with a broad brush doesn’t leave enough contrast for my palette. I object to “masterful”–the only thing I’m masterful about is procrastination. 😉 But otherwise, great blog post. Sure, it’s a little self-serving of me to say so, since you were so gracious to mention me a few times in it, but I would have enjoyed reading it anyway even if you hadn’t. And like others here, I suspect you aren’t giving yourself enough credit. I like books with complex characters, and have no objection to them being morally ambiguous or gray. And I love fantasy that has grit and grime and some reality (even harsh or unrelenting) underpinning the more fantastic elements. But when books slide over into nihilism, or every character is just another cutthroat mercenary asshat with little to distinguish or redeem them, I generally start to lose interest (though if done well enough, I’ll still read on, morbidly curious!). Great post. And thank you for reading Scourge—I’m glad you enjoyed it! Well I guess we share at least one specialty in procrastination. Seriously, you’ve got mad skillz, particularly when it comes to action and dialog.Great work! And I’m with you on the asshat nihilist mercenary. It takes a deft hand to portray them as someone we can empathize with, and finding them is very rare for me. Like I say above, all of your characters’ humanity tends to shine through their tough facades (even if only in glimpses, which makes it great fun). Thanks for reading and commenting, Jeff. Reading your work was, and will continue to be, my pleasure! Another great post, Vaughn! The only book I’ve ever described at gritty was Game of Thrones. GRRM’s world is so real, complex, and yes, gritty, it blows my mind. He is a true and rare genius in my opinion, but I’m glad he’s rare. Sometimes I want a HEA, and GRRM is not known for those. He is who he is in his writing, and that is what we should all aspire too. Gritty, romantic, sentimental, dark- writers should be true to who they are and the voice of their book. I think, as writers, we overthink things too much instead of letting them happen and sometimes lose our own voice while trying to capture someone else’s. I know I’m guilty of playing the comparison game. So grit? Sure, if it’s done well, but what I really like is story, voice, and authenticity. That’s my two cents for what it’s worth. Thanks for another thought provoking post! There’s something very special about GRRM, isn’t there, Heather? I complain about his verbosity and occasionally about his portrayal of females, but I do love the world he’s build, and he’s a master when it comes to the g-word. I want a little HEA once in a while, too, but satisfying endings are even more important to me. And I’m not sure he’s delivered one of those yet (fingers crossed Ice & Fire eventually has a ‘satisfying’ ending). I agree about finding our own voices and styles, too. I have definitely been guilty, but I feel like the trilogy finally found its way there. I think I wanted it to be grittier than would’ve been authentic to me. Very good point – thanks for making it, and for all your support! Great to see you here! 🙂 Welcome back, Heather! Thanks for the vote of confidence, Susannah! 🙂 Rest assured I’m working hard to get it published. I don’t want to jinx it, but I think this current rewrite will be a big hurdle cleared. Thanks for reading and commenting! Grit to me is having a little bit more realism in the fantasy or sword/sorcery (or in just about any genre). It’s not all faeries and romping in meadows. Guys should have horrible scars; heck, some girls should have them, too. People will smell after they have been fighting on the battlefield. Somebody’s hair (please) should be greasy and unkempt. Gowns should be dragged through the mud. And if a leading lady has no razor, then her legs are gonna be hairy. As an aside, I love the Duke. Now, that man had grit! I think you’re right, Karen, that those kinds of sensory (and grooming) details add a lot to the grittiness factor. My work features Romans, and they were meticulous about grooming and near obsessive about bathing, so I was able to have some fun from their point of view (or point of smell) regarding my unwashed barbarians. Funny you should mention hairy legs. I was reading a citation from a third century treatise on women’s grooming (written by a Roman man). In it, the author emphatically asserts that the only place a woman should have bodily hair present is atop her head. Not sure if that included eyebrows or not. I have to agree with Karen- grit means realism to me. I’m a romantic at heart, but that doesn’t mean I have to read with rose-colored glasses, and I wouldn’t write that way either. Another word that comes to mind when I hear that word is strength, and that’s a quality I admire most in the people in my life, and the in the characters I read about. Great post, Vaughn. Thought-provoking as always. I was a little surprised by that first official definition of ‘hardy, resolute, courageous.’ I think bringing strength back into the definition was one of the reasons I thought of the movie True Grit, and used the subtitle and the pic of the Duke. I like the thought having resolve and hardiness and courage at the core of my gritty characters. Thanks for picking up on that and featuring it, Tonia. Great point! I can no longer write without wearing cheaters, but I’ll try not to wear the rose-colored ones. 🙂 Thanks for reading and enhancing the discussion, Tonia! Can grittiness and romantic sentiment work side by side? Hmmm. I don’t think so. I’m casting my mind over books and movies and drawing a blank. Their tones seem to be polar opposites. Grittiness and romance certainly can co-exist, and when they do, I think they’re powerful companions. I’m thinking of stories like Gone with the Wind, or Cold Mountain. Epic stories with large casts, births, deaths, illness. Lots of loss and legendary love. It’s that archetypal pairing of sexuality and death. I like the word “grit” and have used it to describe people. (Maybe it’s subliminal due to the fact I live in a Western province with prairies, where the frontier mentality can still prevail.) “Gritty”, not so much. I go through spells where I seek gritty stories. It’s often when I’m coping with something traumatic, as if I’m seeking a means of externalizing inner emotions and vanquishing them. I have been known to write it, and I can certainly dwell in that space when required. As you might imagine, there are times a physician’s job can be nothing but cold reality. However, my natural tendency is to write light, and people seem to respond to a more comedic voice, so I probably dwell there most of the time. Wow, this comment is chock-full of great thoughts and insights, Jan! I think I may have ended up with more of a co-existence than a ‘working side by side-edness.’ Great examples, and two of my faves. I think my large cast may be a boon to this (hope it’s a boon to *something*). You’re the second person to suggest a preference to grit over gritty, and I must admit it’s a cooler word. I do the same, regarding seeking gritty out at times (and then the opposite). I think, since the Gritty Movement has become so dominant in epic fantasy, my seeking more romantic sentiment is what lead to my love writers like J. Carey and G.G Kay. I easily can imagine, after the years of cold reality in the med world, how you would be drawn to the light. And you’ve got a real skill and deft voice for the comedic. I think it’s a rare skill in literature–there is no sarcasm font. Only emoticons, and you can’t use those in your novels (I don’t think 😉 ). I do like gritty novels, particularly if you’re referring to stories which contain characters who are “courageous, hardy, and resolute”. I think by that definition there’s a bit of grit in my writing. Typically though I associate grit with the darker places that stories take us, and I’m not yet adept at writing there. I tend to be optimistic, even idealistic, and I believe that most of my stories reflect that. Interesting post Vaughn! I love what D. D. Falvo says up there about grit being a spice to use carefully. I also think it’s hilarious how you and I are so often on the same page (pun). I am trying to grit-ify my characters right now, and I think I’ve found the muck that will make this novel finally work. Let’s hope. Thanks for another great post, Vaughn! Isn’t D’s observation so spot on? It does seem like we’re often in sync, Lisa. I sprinkled some grit on a scene just yesterday–hoping the muck makes mine work as well. Fingers crossed for us both! Thanks! Don’t you just love dictionary definitions? lol. That’s an interesting way to look at it. I’ve certainly seen a lot of films that would classify as “gritty” and I couldn’t quite put my finger on them. But they quite often star Sean Bean, haha. The Black Death, Game of Thrones, and Snow White and the Huntsman had a bit of “grittiness.” I’d probably say if characters aren’t afraid to fight dirty, it’s a gritty story. Interesting perspective, Vaughn, it’s always a good idea to think of stories in a new light.